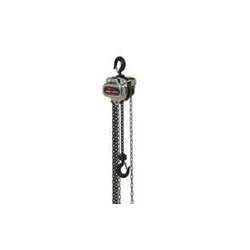 We are a noteworthy organization in the domain, engaged in providing Chain Pulley Block. The offered pulley block uses needle roller bearings delivering a higher operating efficiency. This pulley block is manufactured by utilizing top notch material as per the set industry norms. The provided pulley block is inspected on several quality parameters for delivering a faultless range.